Jesus tells us there is power available when the people in our church gather and pray together. Many of you have Wednesday Night prayer meetings. In my first church, we did, as well. I really enjoyed the time together with the church, but I grew frustrated with the “prayer” part. I don’t know how you do Wednesday Nights, but we would open up the floor for prayer requests. Sometimes the requests were for serious needs. But, often they would become “not so serious” requests. Now, I certainly don’t want to make light of prayer and a person’s need for prayer. I don’t believe there is anything too large or too small to petition the Lord for. But praying for Aunt Mildred’s cat’s fur ball problem may not make the most of our corporate prayer time. Anyway, after we spent a great deal of time taking prayer requests, I’d open the floor for anyone who felt led to pray to start. The usual four to five people would pray. Some prayers were short while others were looooong. When I sensed no one else would be praying, I’d close out the session with my own prayer. We would then move into either a short message or a Bible Study. That was our “prayer meeting.” This may be yours, too. In my second church, we didn’t have the traditional Wednesday night prayer meetings. We had small groups that met throughout the week, where these groups prayed together. Additionally, we had small groups that met at the church building on Wednesday nights. The prayer time in these groups pretty much went just like the prayer meetings at my first church, only on a smaller scale. There was more openness in the groups but the prayer time usually just got tacked on somewhere near the end of the group meetings. Both models had their positives and negatives. But, as far as prayer was concerned, both models were severely lacking. What was missing in our prayer and small group meetings and what may be missing in yours can most likely be summed up in one word. Prayer was not a focus. The problems, needs, and praises shared were the focus. Or the Bible study. Or the food at the group gathering. What was leading up to a minute of prayer was the 15-30 minutes of talk and discussion BEFORE prayer. That was the focus. How could I shift the focus to spending time together seeking God’s face about specific needs and concerns? How could I lead people to concentrate on our Lord of mercy and grace for an extended period of time? I began to brainstorm ways for focusing our church on specific prayer concerns. I read books and researched the internet for suggestions and directions for authentic corporate prayer. I took all these sources and developed my own plan for focused corporate prayer. That plan is what the remainder of this post will outline. Focusing on prayer means removing anything that competes with our prayer time. So there should be nothing else occurring, at least leading up to, and during the time of prayer. I could either have a time of prayer on a different day than our regular Wednesday Night Prayer Meeting, or replace our prayer meeting format entirely. Getting people to come to a church event on Wednesday night, let alone another night of the week is a feat in itself. So I went with the option of replacing our prayer meeting format entirely. But not every Wednesday night. We set aside one Wednesday night per quarter for focused prayer time. I put in a lot of time preparing for that night so that when people did come, they had a night free of distractions. I prepared an agenda so there was guided direction for our prayer time. This agenda contained specific prayer points to lead our people to pray. Rooms were set aside and designated as prayer stations. Each prayer station was focused on one primary area, one prayer point. Our people were separated into groups and each group rotated through each prayer station. Their prayers were directed by the focus prayer point at that station. So there’s an explanation of what led me to this plan. And a very brief overview of the plan. Now I want to show you how this plan practically played out. I’m going to lay out the plan as bullet-points. This can serve as a “to-do list” should you decide to give this plan a try. Ask yourself the questions, “Where do we most need to see God’s guidance and intervention at this moment? What are the needs our church has, both individually and corporately? 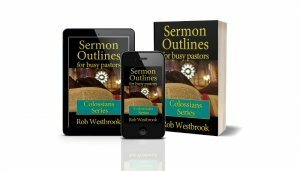 What are the needs outside the church?” Narrow your answers down to just three or four focused areas. Select three rooms according to their sizes and proximity to each other. There needs to be enough room for everyone but not so big there is no intimacy. Place enough copies of the agenda in each room so that everyone will have a copy. Encourage everyone to take their copies home for guidance in their own personal prayer times. No tables. Arrange chairs in a circle so everyone can see each other and hear each other. Here are a few suggestions I never did myself, but you might want to consider. Print out Bible verses dealing with the prayer station topic and put them on the walls. Maybe set up some candles for setting an intimate worshipful mood. Use whatever you think might enhance the time of prayer. Have a large room set up for everyone to gather in before starting. This can be your sanctuary, fellowship hall, or some other room large enough to accommodate everyone when you begin. Have everyone first meet in the larger room. Welcome them and explain to them what is about to take place. Remind them it’s all about coming before the Lord seeking His face, grace, mercy, and intervention. Explain to them the process. Let them know how everything is planned to go. There are three prayer stations. Each prayer station is for praying for a specific topic. You will be at each prayer station for 20 minutes. Take the first 5 minutes to read over the agenda and discuss the topic. Decide on an order of who will be praying. You do not have to pray aloud if you’re uncomfortable. But we do ask that you pray silently while everyone is praying. Have someone watching the clock and let everyone know when the 5 minutes are up. The remainder of the time you will be praying for that prayer station topic. Pray according to the order you decided on. After 20 minutes, someone will knock on your door. At that time you will rotate to the next prayer station. Divide your people into the same number of groups as prayer stations. With three prayer stations, I divided our people into three groups. It is a really good idea to have at least one person who is comfortable praying publicly in each group. You may even want to talk to them before the prayer meeting, asking them to help lead their group through each prayer station. Go through the group and designate them 1, 2, or 3, according to the order they were sitting in. If they are 1s, they are in group 1, 2s in group 2, and 3s in group 3. Tell them group 1 begins at station 1, group 2 at station 2, and group 3 at station 3. At the first rotation, group 1 will rotate to station 2, group 2 will rotate to station 3, and group 3 to station 1. At the second rotation, group 1 will rotate to station 3, group 2 will rotate to station 1, and group 3 to station 2. Designate someone to be the timekeeper. Anyone in any group can serve this purpose. Let them set a timer on their phone for 20 minutes. Send everyone to their beginning designated stations and started the clock. It’s important to give a set amount of time and stick to that time. It’s important that you, as the pastor, be part of one of the groups. Your example will go a long way in enhancing the importance of praying on specific topics and participating with your people. With three prayer stations and 20-minute blocks, the prayer meeting should be over in an hour. You can use any time frame you like, but I found that one hour is the sweet spot. Of course, being Baptist, we always had some food or snacks afterward! But you may really want to consider a short time of fellowship after the time of prayer. It gives people time to decompress and share their prayer experiences. I always found this “after” time exhilarating as people basked in the warmth of being before the Lord. There was always much joy in the room. What follows are some examples of the prayer points I’ve used during our prayer meetings. I hope these will give you more direction and explanation about what we were praying for. There are examples from three different prayer meetings. I refer to them as sessions. I’ve put these sample prayer points into PDF files. There are buttons at the bottom of this post for downloading them. I’ve added a bit of commentary on each session to give a little detail to each one. Each prayer station agenda in this session centered around a specific point in our church vision statement. We envision sharing the good news of Christ’s death and resurrection with thousands of unchurched family members, friends, and others in our local area, with many trusting Him as Savior and Lord. Pray for courage to share the Gospel. Pray for your family members who may not know Jesus. Pray for your friends who may not know Jesus. Pray for the people you work with or go to school with who may not know Jesus. Pray for the people in our local area to know Jesus. Pray that people will trust in Jesus. Pray that we will be broken for lost people. Pray for God’s direction in how our church can specifically share the Gospel with our community. Your own prayer concerns for evangelism. We envision developing our people – new believers as well as established believers – into fully functioning Christ-followers through people-friendly, celebratory worship services, special events, and Life Groups. We envision helping all our people – youth as well as adults – to discover their divine designs so that they are equipped to serve Christ effectively in some ministry either within or outside our church. Our goal is that every member be a minister. Pray that our people will desire a closer and deeper walk with the Lord. Pray for our church’s ability to make disciples. Pray for direction for our church in developing new ways to make disciples. Pray that our more mature people will step up and help make disciples of those less mature. Pray that our people will desire to serve one another. Pray for new leaders to come forward in leading church ministry. Pray that the church will be effective in training and using our people for ministry. Your own prayer concerns for Discipleship and Ministry. We envision becoming a church where our people model biblical community: a safe place where we accept one another and are accepted, love and are loved, led and are leading, encourage and are encouraged, forgive and are forgiven, and serve and are served. We envision welcoming many members into our body who are excited about Christ, experiencing life-change through our worship, discipleship, and Life Groups, and growing together in love. Pray for our people to be unified and in one accord. Pray for our people to develop family love for one another. Pray for our people to be forgiving. Pray for our people to be encouraging to one another. Pray for commitment to our church and to one another. Pray for our Sunday morning services. Pray for our worship team. Pray for our youth leaders. Pray for the excitement we share in Jesus to never fade away. Your own prayer concerns for Community and Worship. This prayer meeting was held shortly before Easter. God put our Church in this exact location – in this exact town – for a reason. He wants to build together a group of individuals into a real community who love one another, support one another, and watch after one another with the love of Jesus Christ. He wants His church to be so attractive with His love that others will also want to be a part of what He is doing in us. Pray that each one of us, as individuals, will continue to pursue an ever deepening love and relationship with Jesus. Pray that all of us will continue to draw closer together into a real family of God. Pray that our love for one another will continue to grow. Pray that we will develop a greater degree of concern for one another, a concern so great that our church family will always be on our minds and hearts. Pray that our church will be so close to one another and to Jesus that others outside our church will be attracted to the love and grace of Jesus they see in us. Pray that God will prevent the Evil One, the devil, from having any influence on any of us as individuals and as a group. Pray that God will protect our pastor, our youth pastor, our children’s leaders, and our worship team from any ungodly influence or outside interference that might compromise or distract their ministries. Pray for the peace of God to settle on all of us. Pray for God’s anointing on our services. Easter is still an important holiday for people, whether they attend a church or not. Many people are more open to attend a church service at Easter than at almost any other time. An invitation for them to attend a church service might be more readily accepted during Easter. Pray for your family members, preferably by name, who you think might not have a relationship with Jesus Christ. Pray for your friends, preferably by name, who you think might not have a relationship with Jesus Christ. Pray for the Lord to begin working in the hearts of those above, that they will be open to the Holy Spirit. Pray for God to break your heart for those who do not know Him. Pray for God to give you the courage to invite people to our church Easter Sunday. Pray for God to provide you with specific opportunities to talk to these people about attending our church with you Easter Sunday. Pray for God to keep you sensitive to His leading anytime you are around these people. Pray that God will compel many people, even those we don’t know, to attend our church service Easter Sunday. Pray that God will fill our Easter Service with His Holy Spirit in a real and tangible way. Pray that many people will begin their walk with Jesus Easter Sunday. Our town and our county is our home, our community. We may be far away from national centers of attention, but God has His attention firmly set on our community. He has many people here. There are also many people here who He wants to be His. They may be far, far away from Him right now, but through His church, God wants them to come to Him. Pray for our community leaders and the decisions they make. Pray that God will reign over our town and county. Pray that every person in our community will personally seek God and His salvation. Pray that God will open our eyes to the lostness of the people surrounding us in our community. Pray for God to give us insight into the deeper problems in our community. Pray that God will give us a strong concern for the people who live near us and around us. Pray for God’s love, grace, and concern to fill us as we interact with our community. Pray for God to give us bravery in standing for Him and grace to speak for Him in our community. Pray that God will bring His peace to our community. Pray that God will use us to bring His salvation to every single person in our community. This prayer meeting was held as the new school year was starting in the fall. Our schools should be a key focus of our prayers. Our children will spend almost as much time in school as at home. This makes the schools, the teachers, and the other students a prime means of influence on our children. How our children react and respond to the school environment will affect them for the rest of their lives. Pray that God will mightily show Himself within our schools. Pray that God will lead and guide the school administration and teachers in providing a safe environment for our children. Pray that the entire administration and every teacher will know and follow Jesus Christ. Pray that those administrators and teachers who are Christians will be empowered and confident in living for Jesus in front of the students. Pray that God will build a hedge of protection around our schools to keep any evil or evil one from having any influence. Pray that God will prevent any more erosion of Christian values within our schools. Pray that God will be glorified through our schools. Pray for each school in our area, by name, and ask God to be mighty and awesome within each school. Our children are our most precious gifts from God. As they enter school, they will be in the midst of people who have no regard for our God, Jesus, or love for our children. They will be exposed to things that may lead them away from Jesus. Every day they will be surrounded by people who are influenced by the world’s values and the Evil One. They will also have great opportunities to represent Jesus to everyone around them. Pray that our children will be surrounded by the protection of Jesus. Pray that our children will be spared from hearing and seeing things they should not hear and see. Pray that our children will be shining lights in a world filled with much darkness. Pray that our children will demonstrate the love of Christ to those around them. Pray that our children will have opportunities to tell people about their relationship with Jesus Christ. Pray that our children will experience the joy of seeing Jesus become real and personal in other people’s lives. Pray that our children’s faith will continue to grow stronger and stronger so they are not pulled away from Jesus by outside influences. Pray that our children will make wise and godly decisions every day at school. Our small groups will be beginning their next semester in September. We have seen our church grow much closer through our small group ministry. There are many in our church who have not yet experienced the joy of being a part of one of our small groups. They are missing out on one of the true blessings of being a part of our church. Pray that God will lead each person in our church to become a part of our small groups this fall. Pray that God will lead each one into a group that He knows is best for each person. Pray for every host of our small groups, that God will provide the time for each within their busy lives. Pray that the lessons and materials we use will have a strong influence in our walk with the Lord. Pray that people who are not yet a part of our church will be led to participate in our small groups. Pray that we, as a church, will become much closer to one another through our small groups. Pray that God’s work within our small groups will spill over into every church activity. Pray that we will see people renew or begin their relationship with Jesus through our small groups. If you would like to download these session agendas, you can click the button below for a PDF of all 9 prayer stations. What do you think about this Corporate Prayer Plan? I’ve found this plan to be an excellent way of getting the church involved in focused corporate prayer time. This plan also enhances the importance of prayer in the life of the church. It would fit nicely into a sermon series on prayer, such as my 40 Days of Prayer series. Is this something you might try? What are some ways you’ve found that lead to more focused corporate prayer? Please share any questions, suggestions, or your own plans in the comments below. I look forward to your participation.